Despite the advances and the developments of technology, research investigating the impact of Information Technology adoption on the quality of construction projects has been limited. 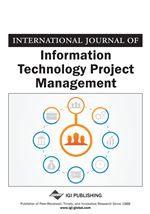 Therefore, the purpose of this study is to examine the impact of Information Technology adoption on the quality of Jordanian construction projects. Measures and analysis procedures were survey based. Ninety questionnaires were distributed among different construction companies to study the impact of (IT) adoption on the quality of the project during the four phases of construction. Descriptive statistics were obtained and regression test was applied. Results indicate that more investment and encouragement of the use of (IT) in the construction sector essentially increase the quality of the project in the construction throughout its four phases (Planning, Design, Construction and Finishing). The main limitation of this study is that it is conducted with a convenience sample. The academic and managerial implications of the findings are discussed and further research directions are offered. Information Technology (IT) is defined as “the use of electronic machines and programs for the processing, storage, transfer and presentation of information” (Bjork, 1999 as cited in Rivard, 2000). Information Technology (IT) means utilizing new technologies such as computers, software, networks, telephones, fax machines, virtual reality, expert systems and the internet sources through performing the work activities (Rivard, 2000). Peslak (2005) states that (IT) has played an important role in the business world; it allows for comprehensive management of information and facilitates the exchange between consumers and providers. In addition, the broad use of (IT) will improve quality, prevent errors, reduce costs, increase administrative efficiencies, decrease paperwork, and expand access to information (Langley & Beasley, 2007). Construction sector is an important indicator of the development as it creates investment opportunities across various related sectors (Rivard, 2000). The introduction of (IT) has improved the productivity of design and project management. In addition, (IT) has now become vital to the construction business (El-Mashaleh, 2007). Good communication between project parties is one of the most important factors that make the project succeed or fail. Misinformation causes much negative consequences during construction that may lead to conflicts, disputes and claims between the owner and the contractor (Cheung, Yiu, & Yeung, 2006). Information Technology has great potential for the information process component of the construction industry. The recent technologies will undoubtedly have a profound impact on how organizations operate on a daily basis. In the construction industry, the owner's objective is to obtain a high quality facility through good use of planning and good design. For construction projects, quality means making sure that things are done according to the plans, specifications, and permit requirements (Satterfield, 2005). The American Society of Civil Engineers defines quality as “the totality of features attributes, and characteristics of a facility”. It is usually referenced to and measured by the degree of conformance to predetermined standard of performance. Quality in the constructed project is obtained by the conscientious application of thoroughly planned quality-assurance program implemented through a quality control procedure during the planning, design, construction and finishing phases (Al-Musaid, 1990). There is evidence that Information Technology can improve quality, safety and reduce costs but employees need more information about how to implement these technologies to realize its potential. Jordan is considered one of the most stable countries in the Middle East; the construction sector is one of the most active sectors. It has been expanding at a faster pace than any other sector in the Jordanian economy (Yager, 2004). The construction sector in Jordan has experienced growth during the boom that occurred in the last few years. The core economic activities of the country of Jordan revolve around real estate and tourism. The real estate and construction sector has been one of the most active sectors of the Jordanian economy lately. Construction sector accounted for 4.6% of the Gross Domestic Product (GDP) on average over the period 2002 – 2009.The sector has achieved an average growth rate of 13.3% over the same period. Residential construction accounts for the bulk of Jordanian construction accounting for an average of 87% of all construction permits during the period 2005 – 2009 (Attar & Sweis, 2010). The government of Jordan has also been making significant reforms over the past few years. Such reforms have been positively impacting the Jordanian economy (El-Quqa, Hasan, Gouda, Juma, & Al-Akkad, 2008). Information Technology has the potential to improve outcomes. It plays an important role in facilitating the projects and the construction activities where many companies have implemented and are currently using (IT). However, evaluation of (IT) adoption from the user viewpoint has received little attention. Therefore, the objective of this study is to investigate the impact of (IT) adoption on the quality of projects in the Jordanian construction sector.